Architects are constantly pushing the boundaries of what's possible with their crazy designs and seemingly impossible structures. These brilliantly bonkers buildings will blow your mind! 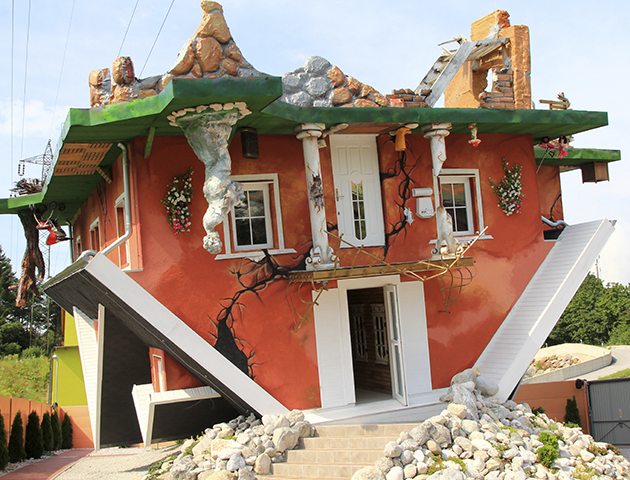 It might surprise you to know that there are quite a few upside-down houses out there! This one was built by architects Irek Glowacki and Marek Rozanski and can be found in Tyrol, Austria. 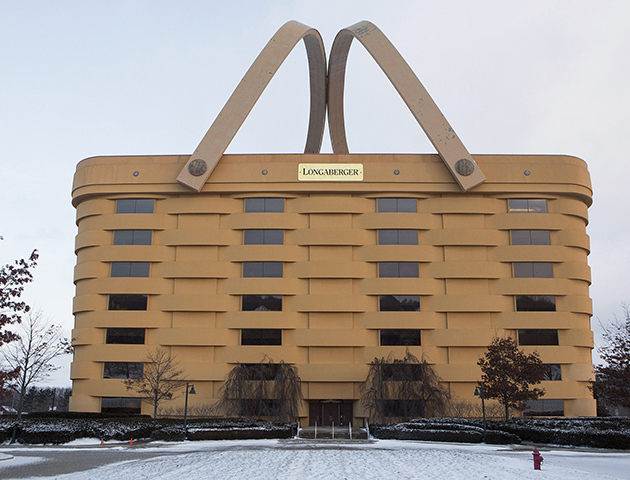 What a fitting headquarters for a company that makes baskets! The Longaberger Company certainly made their mark on the city of Newark, Ohio. 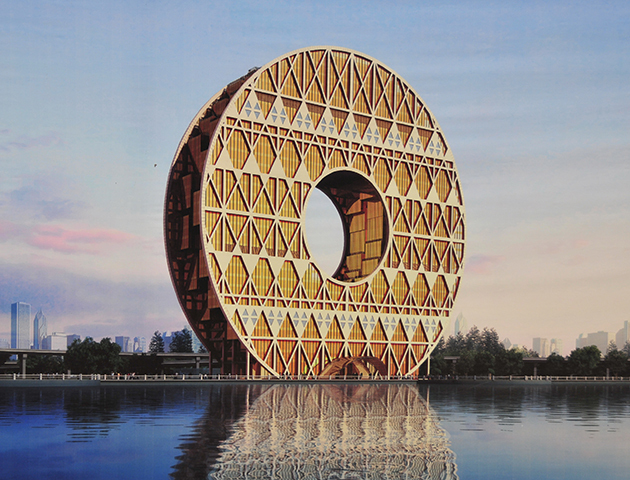 This doughnut-shaped building in Guangzhou, China was designed by Italian architect Joseph di Pasquale. Inspired by the shape of a traditional Chinese coin, the building is 33 storeys high and has a 50m diameter! Wowzers! Just think of what you could buy with that! Just when you’d thought you’d seen it all! 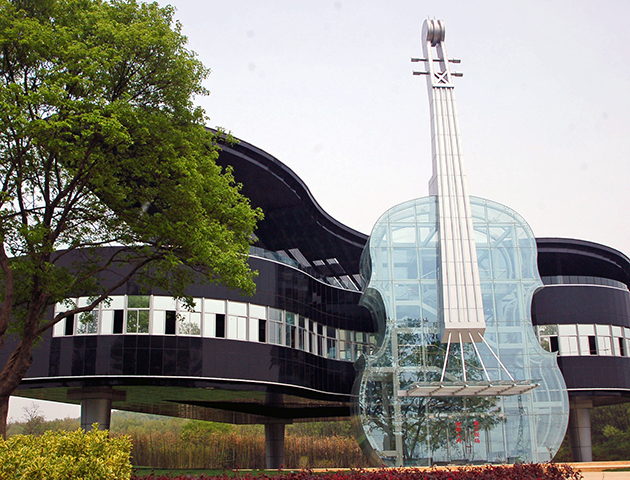 This grand piano and violin-shaped building in the Shannan area of Huainan city in China really is the maestro of bonkers buildings! 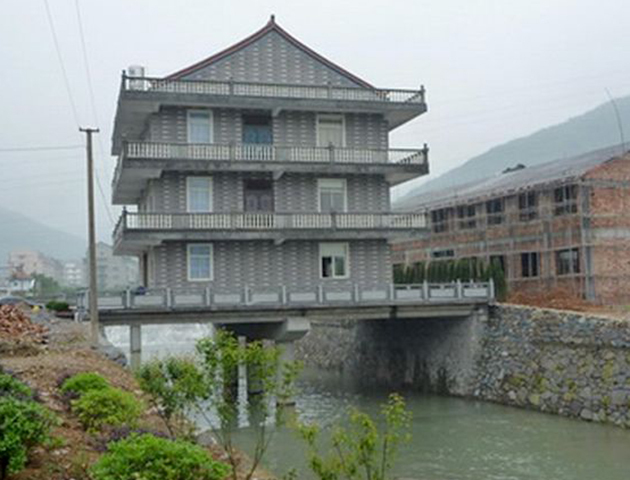 Can you believe that someone built a three-storey house on a bridge? It’s no surprise that this gravity-defying building in Meixi Village, China has been surrounded by questions regarding its safety. Would you dare to live there? 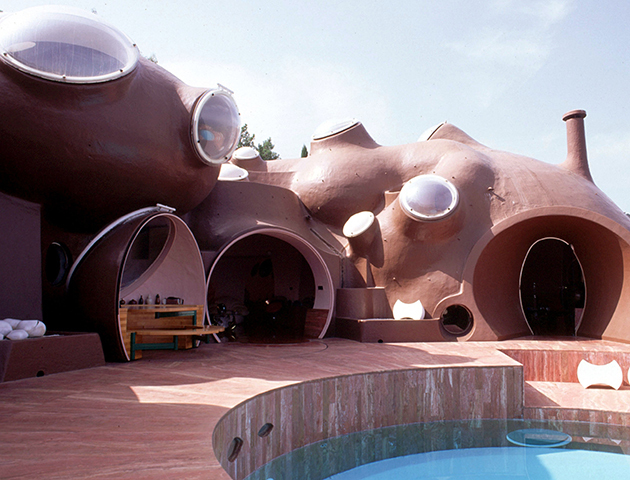 This bizarre house is owned by designer Pierre Cardin. Also known as Palais Bulles, the unusual building is the brainchild of architect Antti Lovag. 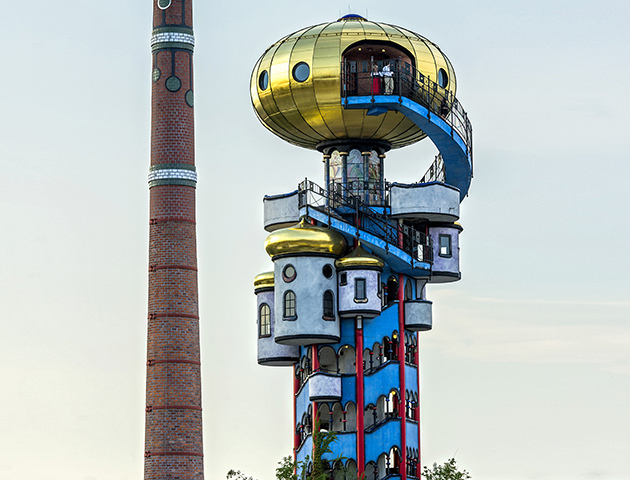 The tower in Bavaria, Germany is an observation building designed by Austrian architect Friedensreich Hundertwasser. We think it looks just like an alien stuffing his face! Greedy pig! This beautiful building is a Bahá’í house of worship in New Delhi, India. 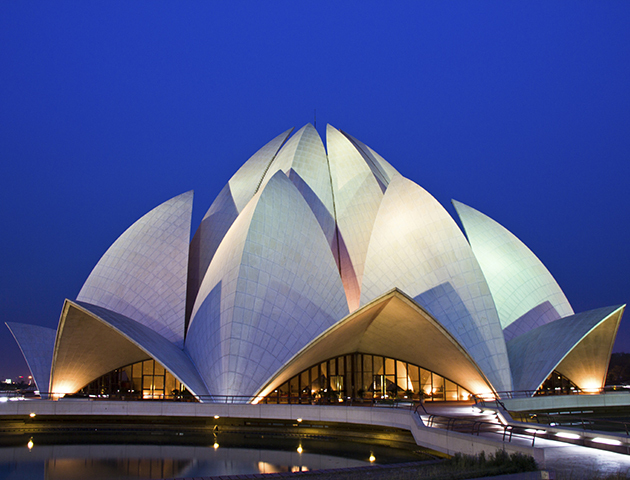 Inspired by a blossoming lotus flower, the temple has 27 free-standing petals. 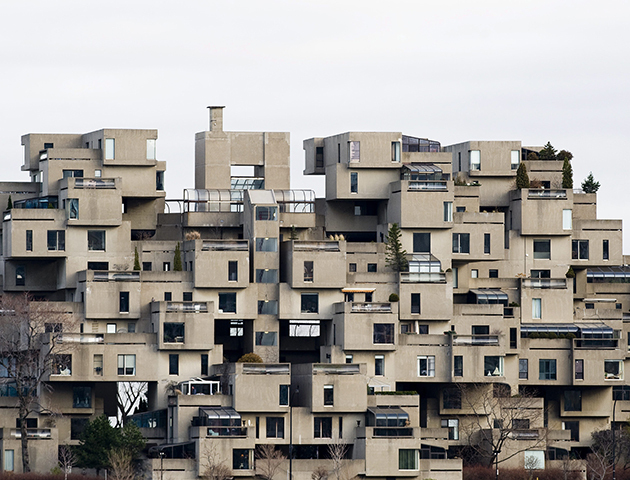 This quirky Montreal landmark is a model community and housing complex designed by Moshe Safdie. The structure is made from 354 identical prefabricated concrete pieces that are arranged in various combinations. So it’s basically Lego you can live in! 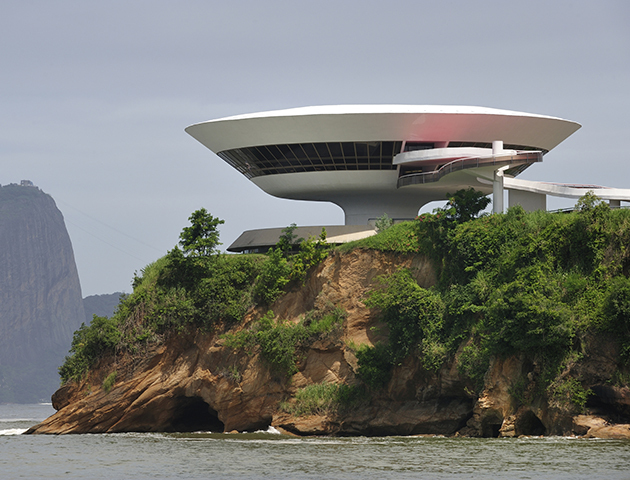 This space-age structure in Niterói, Rio de Janeiro was designed by architect Oscar Niemeyer. Does it remind you of the Jetsons too? 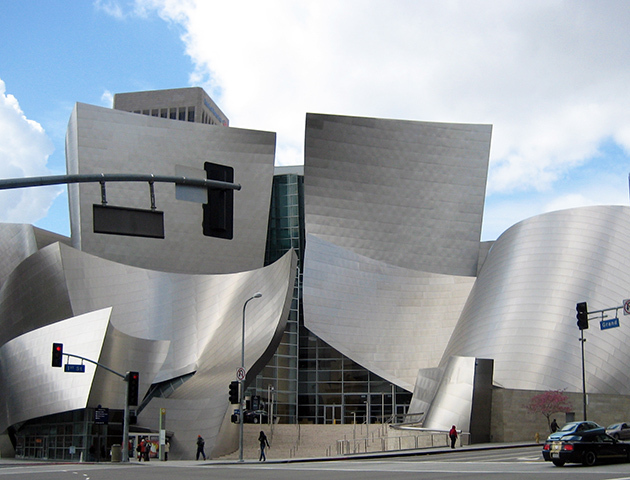 The Walt Disney Concert Hall in Los Angeles, designed by Frank Gehry, looks every inch the futuristic wonder! The stainless steel structure was inspired by Gehry’s love of sailing. This unusual structure looks more like some kind of sea monster than a building! 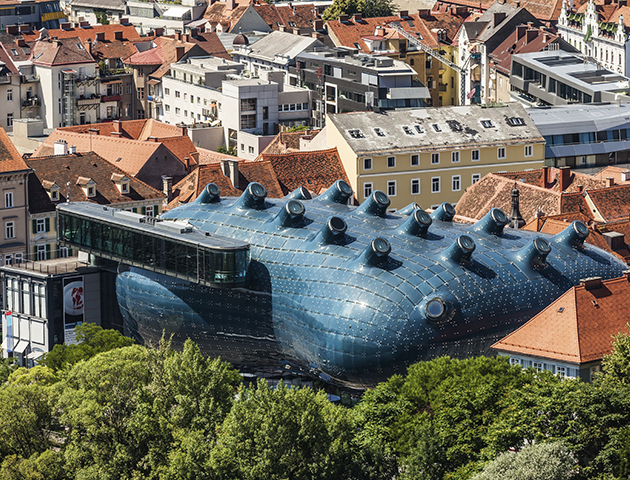 Affectionately known as The Friendly Alien, the museum was built in 2003 and has become a popular landmark in Graz, Austria. Architect Antoni Gaudi was a true master of bonkers buildings. 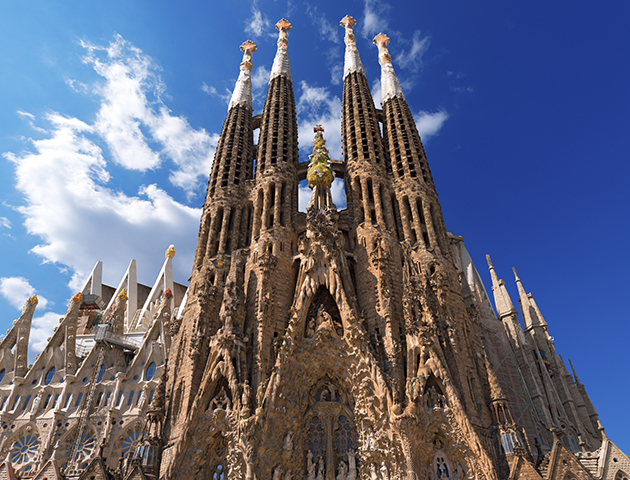 Transforming Barcelona with his distinctive style, Sagrada Familia is an example of one of his weirder creations. It’s unbelievable to think that they started building the structure in 1882 and they’re still not finished! 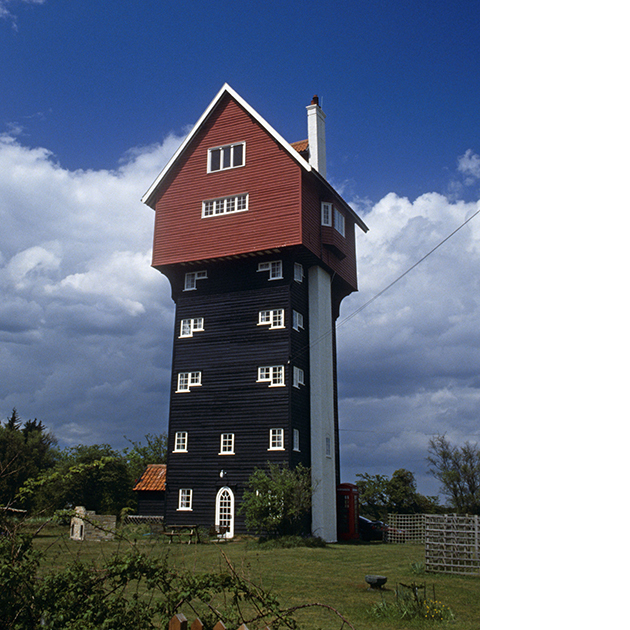 Can you believe you can actually stay in this folly in Thorpeness, Suffolk? This self-catering holiday accommodation was originally a water tower for the village. 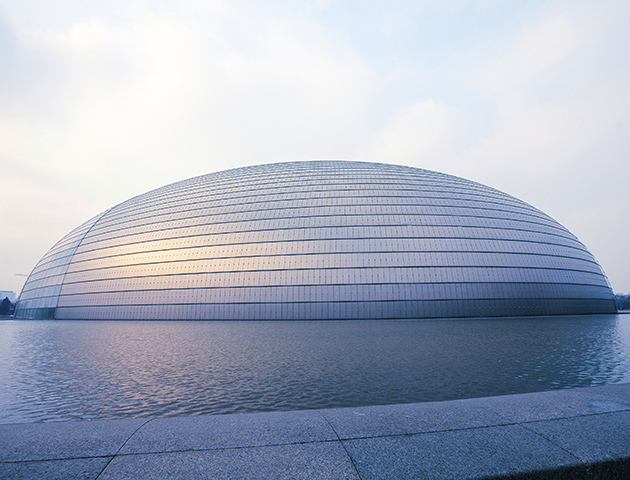 This arts complex in Beijing, China is affectionately called the giant egg. We can see why. It really does resemble an egg floating on water! 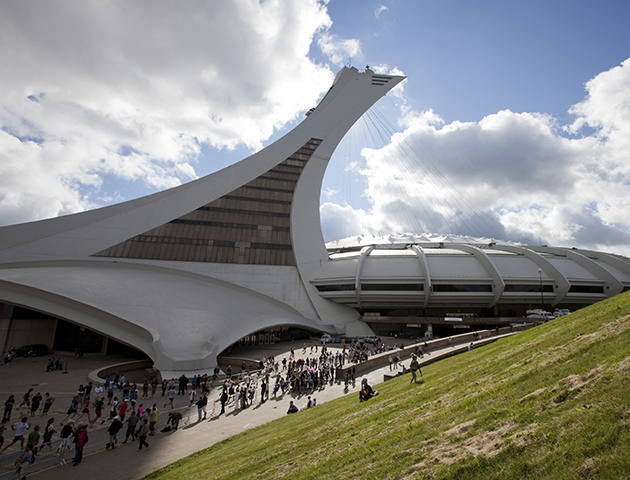 The former Olympic Stadium in Montreal features a slanting tower that seems to defy gravity slanting at 45 degrees! This cleverly cantilevered building uses its own weight to keep the tower in place. 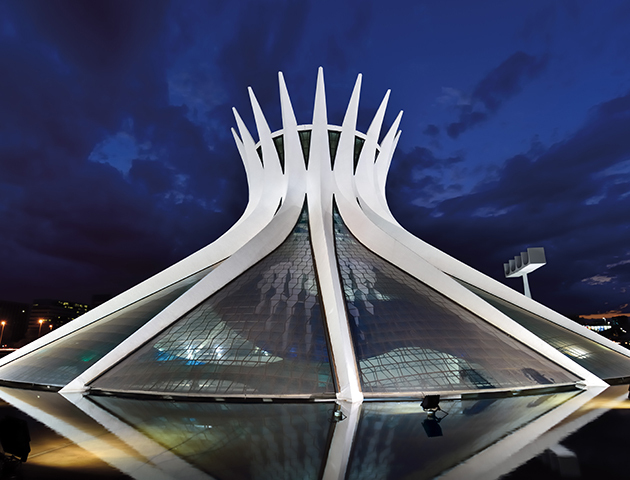 Architect Oscar Niemeyer designed this modern cathedral in Brasília, Brazil. The building’s unique structure is constructed of 16 concrete columns, weighing 90 tons each! Don’t you think it looks just like a crown? 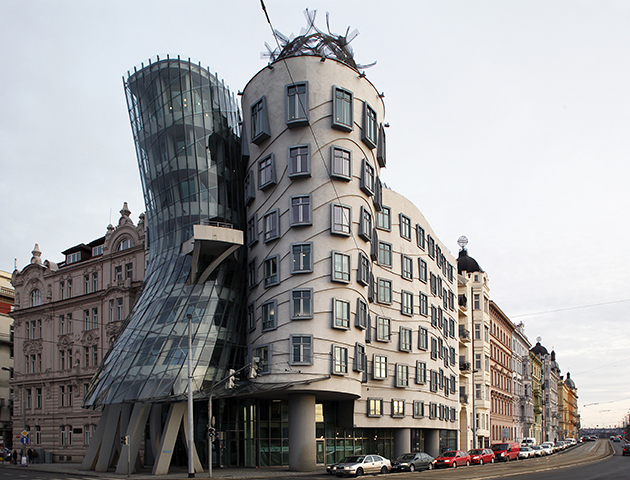 Designed by Frank O. Gehry and Vlado Milunic, this unusual building certaintly stands out on Prague’s riverfront. Gehry nicknamed the house ‘Fred and Ginger’ after dancers Fred Astaire and Ginger Rogers. 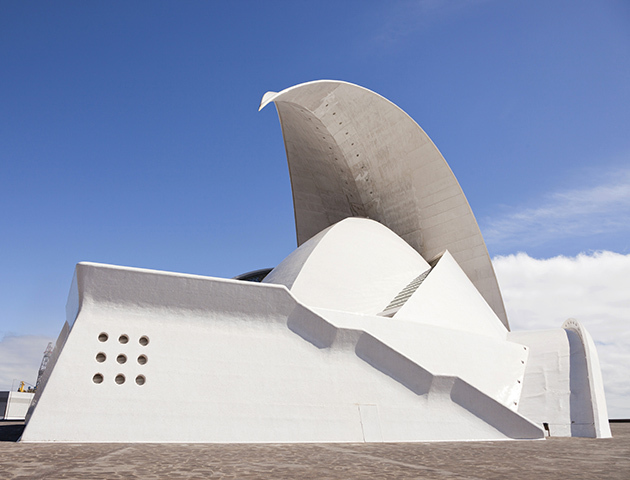 This avant-garde congress and concert hall is by architect Santiago Calatrava. The Santa Cruz de Tenerife landmark in the Canary Islands opened in 2003 and is an impressive addition to the city’s skyline.